Once again, it&apos;s been too long since the last MIMS Show (although we&apos;ve put out two "off-series" mixes since then) so we&apos;ve been really itching to share this round of discoveries with you all. 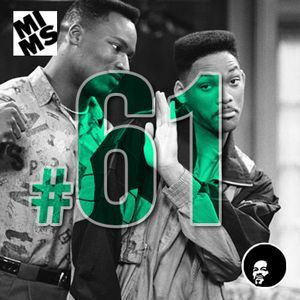 So here is Show #61 : just under two hours of amazing tracks ranging from soul, jazz, house, beats and hip-hop. Every single one of which we absolutely love and we hope that you&apos;ll discover a few in there too! Really exciting times right now for Music Is My Sanctuary and our side project called 24 Hours of Vinyl so I want to thank each and everyone of you for the love and support. @Waxist. Our pleasure! It&apos;s so good! Thanks for playin my edit guys!! Making my monday so much easier!